Village East Cinemas, 2nd Ave @ 12th Street, NYC. Cast - Soumitra Chatterjee, Sharmila Tagore, Aparna Sen, Prosenjit Chatterjee, Arjun Rampal, Konkona Sen Sharma, Nandita Das, Kaushik Ganguly, Anindya Chatterjee, Dorothee Wenner, Subhadip Sarkar. Synopsis: Indian writer- director Rituparno Ghosh from Bengal is an larger than life cultural icon whose influence spread far beyond his films. This documentary is pegged on the director’s own interviews and conversations (from archives) and his personal memoirs entitled First Person. Conversations with cast and crew feature Soumitra Chatterjee, Sharmila Tagore, Aparna Sen, Prosenjit Chatterjee, Nandita Das, Arjun Rampal, Konkona Sen and Mir. 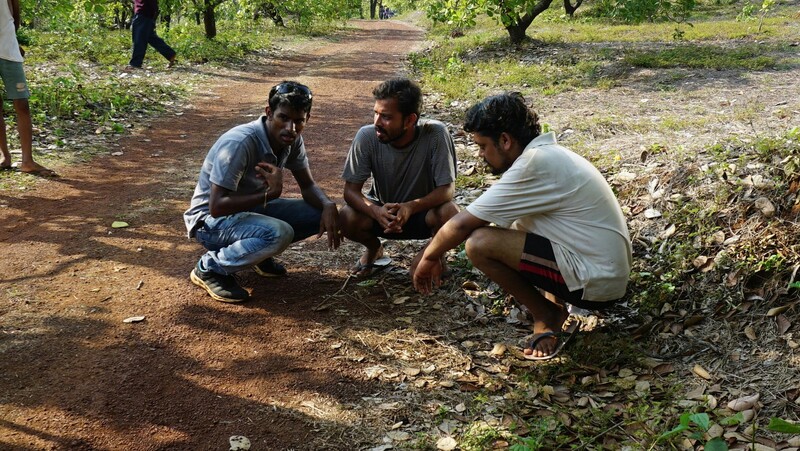 Ghosh’s core crew cinematographer; Aveek Mukhopadhyay, editor Arghyakamal Mitra and music composer; Debajyoti Mishra discuss his craft of filmmaking. International festival curators (Berlin/London/Spain) endorse the filmmaker’s position in the world cinescape. Rituparno lived and worked in the city of Kolkata which he loved dearly. His life and works are a product of his city and his culture. 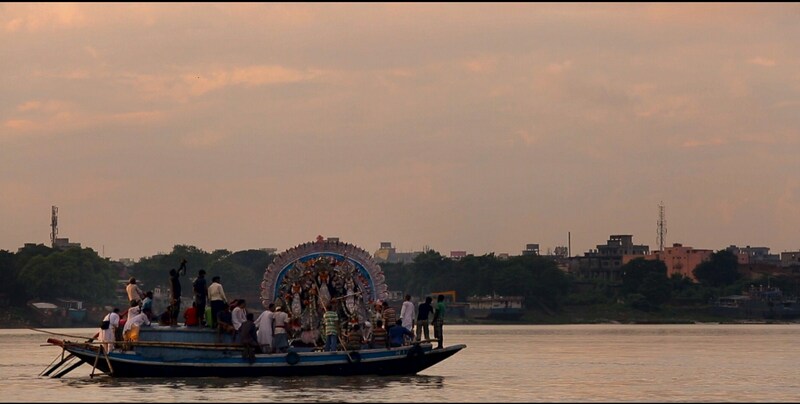 The story of Rituparno is interrelated to the changing cityscape of Kolkata as the film is shot over the course of a year. 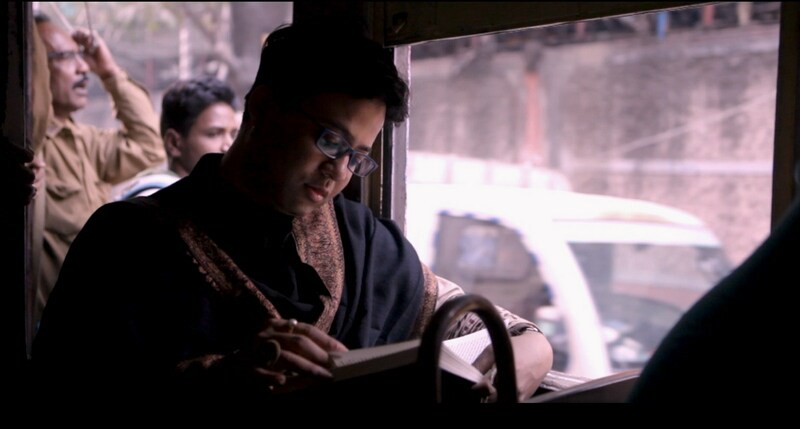 A young stage actor starts his inspired research on the filmmaker Ghosh. Finally, we see him perform the play Rituparno Ghosh at Tapan Theatre. Our film both shapes and is shaped by this search. 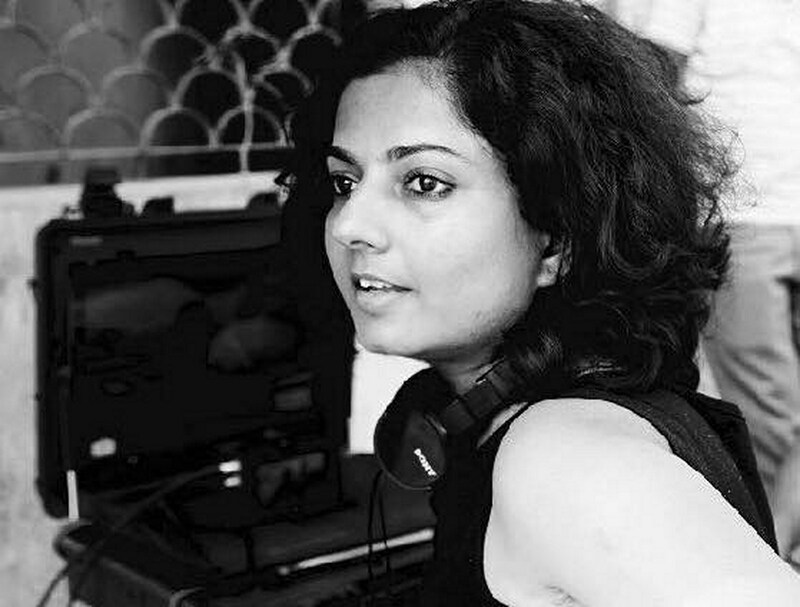 Director: Sangeeta Datta is a writer-film/theatre director-singer working between India and UK. 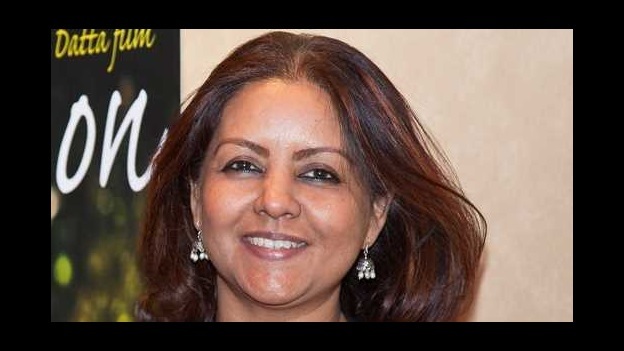 Her award winning productions include: Life Goes On (feature film with Sharmila Tagore, Om Puri, Soha Ali Khan) The Dying Song and Gitanjali 100 (musical). She has completed her documentary on Rituparno Ghosh- Bird of Dusk (2017) which is on the international film festival circuit and a short film on Sister Nivedita (Margaret Noble) for the Nivedita Museum. She was Creative Producer on the six part series Tuning to You ( SD Arts 2016) telecast on Channel 4, UK. Her documentary The Way I See It (on Indian women filmmakers) premiered at Creteil Film Festival ( France) and travelled widely in the festival circuit. Her dance-film project The Wife’s Letter was commissioned by Dance UK. 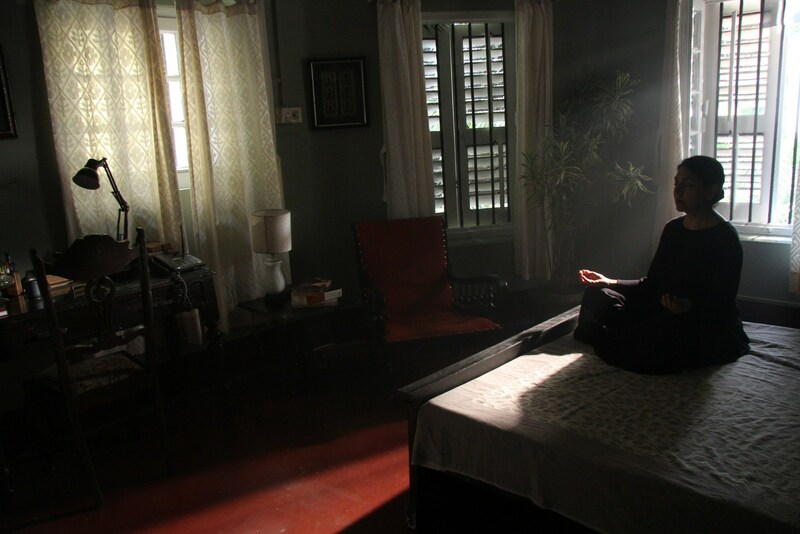 Her short film Letter from an Ordinary Girl ( Sadharan Meye) has a contemporary take on Tagore’s famous poem. 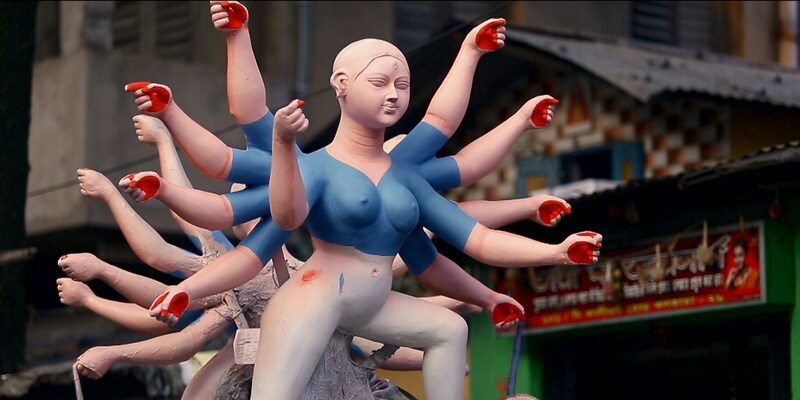 Her books on cinema include Shyam Benegal; World Director Series (BFI) Rituparno Ghosh: Cinema, Art and Gender (Routledge) Essential Indian Films (forthcoming). She has numerous publications on Film and Literature in international academic journals. A trained Rabindrasangeet singer, Sangeeta performs regularly and her recent concerts include the hugely acclaimed Independence Gala at Royal Festival Hall, London, Tagore’s Travelling Trunk at Cadogan Hall and the very popular concert series ANANT collaboration with Javed Akhtar and Soumik Datta (music published by Zee Music). She is director of the arts company BAITHAK UK which promotes, dialogue, debate and new work from performing arts, literature and film. 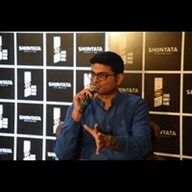 This year BAITHAK presented a highly acclaimed panel on Indian Cinema at BAFTA (British Academy of Film and Television) featuring Javed Akhtar, Shabana Azmi and Farhan Akhtar. A Ph. D. in English Literature, Sangeeta has many years of teaching and curating experience behind her, both in India and in London. She curates film seasons at British Film Institute and is a cultural commentator on radio and TV. Cast - Rushikesh Naik, Sudesh Bhise, Prashanti Talpankar, Gauri Kamat, Gauri Kamat, Barkha Naik, Pranav Narote, Sarah Driver. Synopsis: Boribmol, a village in Goa with a large immigrant population, is ruled by an abusive, thuggish bully, Juze, known as the ‘Slum Landlord’. His appetite for violent intimidation keeps his immigrant workforce submissive, even when his roving eye extends to their women. 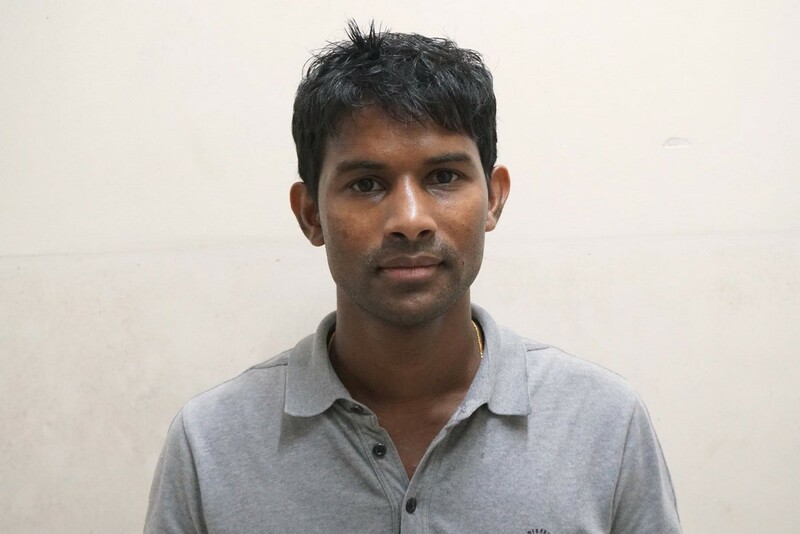 Santosh, a 16 year old boy, is not intimidated. 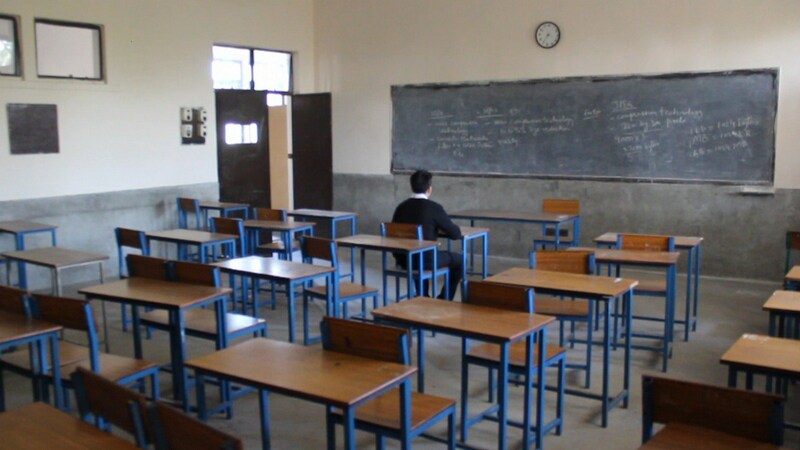 His determination to continue with his classes remains constant in spite of regular beatings from Juze. 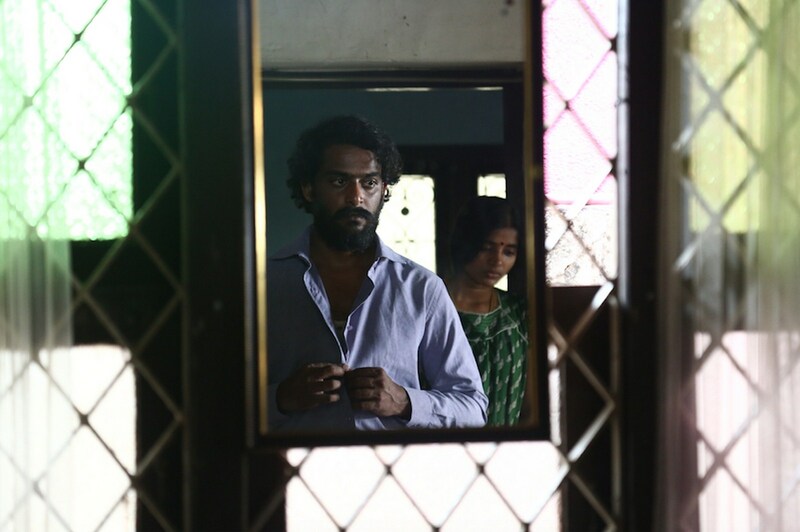 As events build to breaking point, Santosh’s passive resistance evolves into the determination to confront Juze and finally achieve freedom from fear. Director’s Statement: Since my childhood, I’ve seen a ‘Juze’ in every village in Goa. These slum landlords abuse their power and exploit the defenceless and unprotected - immigrants often being the most vulnerable. Originally a Portuguese colony, Goa has always been a rich and fertile state, which attracts immigrants from outside. Even before liberation in 1961, a large number of people from other states in India went there in search of jobs and the chance to make a living. 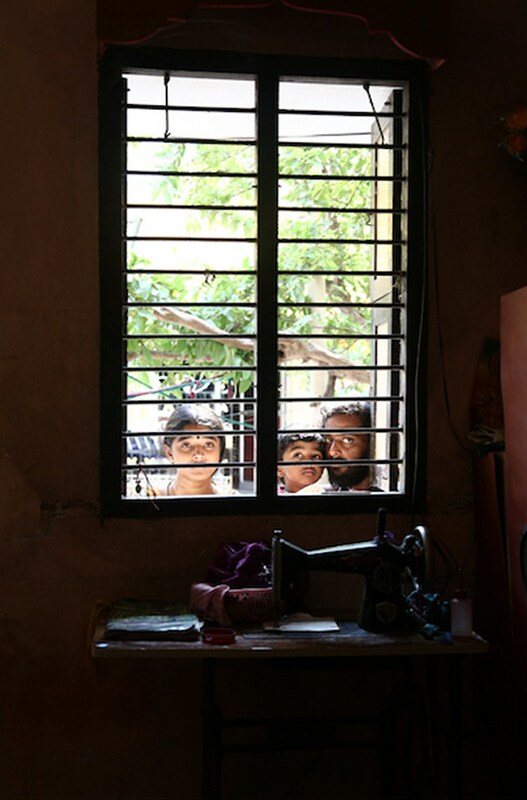 Like immigrants everywhere, they took jobs that Goans wouldn’t do – mainly as casual labourers. Inevitably Goans - the locals - saw themselves as better educated and looked down on the new arrivals. In my film, Santosh is a local, but with no family other than his ailing grandmother, he is vulnerable, unprotected and on the same level as an immigrant. He is the victim of exploitation, violent maltreatment, and is treated as an outsider by the other villagers. His passive resistance to these injustices provokes more aggression. Bruised and disillusioned, he reaches the point where until he can no longer take it. Even today, you see a lot people, mostly immigrants, serving prison terms because they were pushed to a point where they took drastic action, even killing their oppressors. Santosh is clever enough to understand that it is a question of what he has to kill and not who. His fear. And I wanted to show that no matter big and powerful these ‘Juzes’ are, they all eventually fall. Such a tyrant existed in our village and I witnessed his rule and his fall and it was this memory that influenced my story. 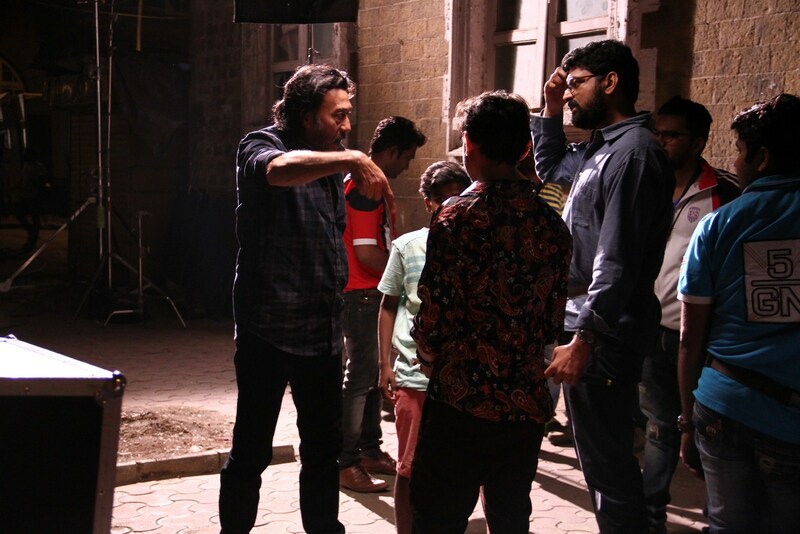 Director: Miransha Naik is a native of Goa and completed his filmmaking studies at Whistling Woods International, Mumbai, specialising in screenwriting. In 2012, he began working as a writer at Gitanjali Creations, a Mumbai-based production house before making short films under his own banner, Thin Air Productions. JUZE is his feature film debut. Naik cast the film using mostly non-professional actors from Goa; although Prashanti Talpankar who plays ‘Tai’ had previous experience while Rushikesh Naik (Santosh), Sudesh Bhise (Juze) and Ranav Narote (Abdul) were in a short film he made one year prior to JUZE. 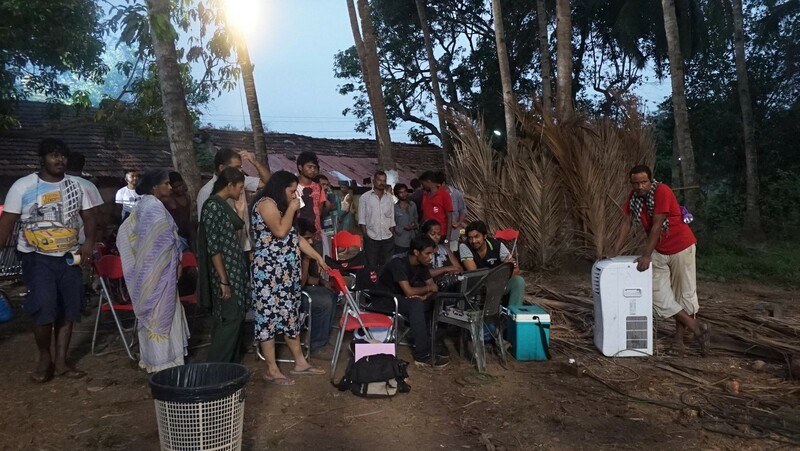 Otherwise, auditions were held all over Goa from which a short list was selected to participate in a workshop from which final cast were chosen for the respective roles. Cast - Santhosh Sreeram, Suseela, Dharun. Synopsis: TO LET is the story of a couple with a child. In the period of IT sector boom their house owner ask them to vacate the house. They have only thirty days to find new housing with their modest middle-class income..On their mopeds they start a race against time and all kinds of prejudice. 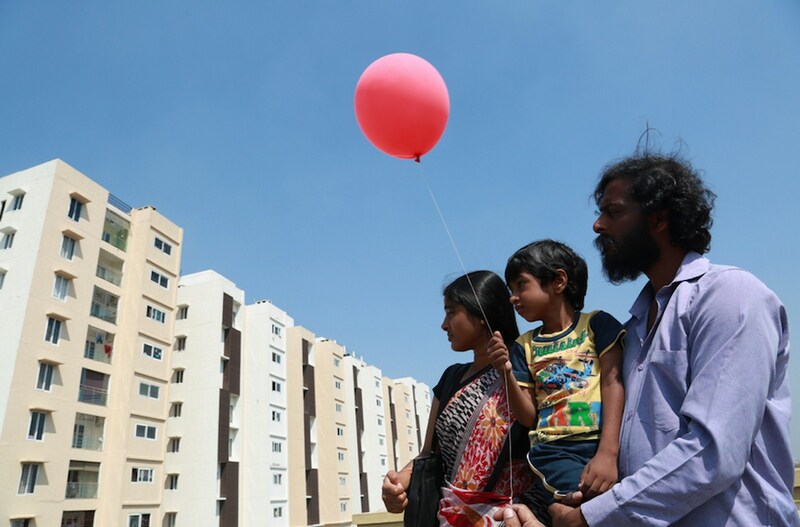 Director's Statement: Why did I make “ TO LET ”?, The economical recession in the first decade of the new millennium and the arrival of the multinational companies led to the boom in IT industry at Chennai City in South India. Particularly in 2007 this changes led to the sudden and disproportional rise in rents due to the housing needs of the IT personnel with fat pay cheques. The opportunistic landlords tried to exploit the situation by asking the economically vulnerable tenant-families to vacate at short notice. People working in other sectors and the working class were hit the hardest. Thousands of tenants wandering on the summer streets with their children to find their new homes. As a witness I want to make a film without any compromises. Director: Chezhian Ra is a writer, poet and cinematographer. Who works primarily in the Tamil Film Industry, where he did more than Nine Feature films as a director of photography. Most Of the films got numerous awards, including National awards. 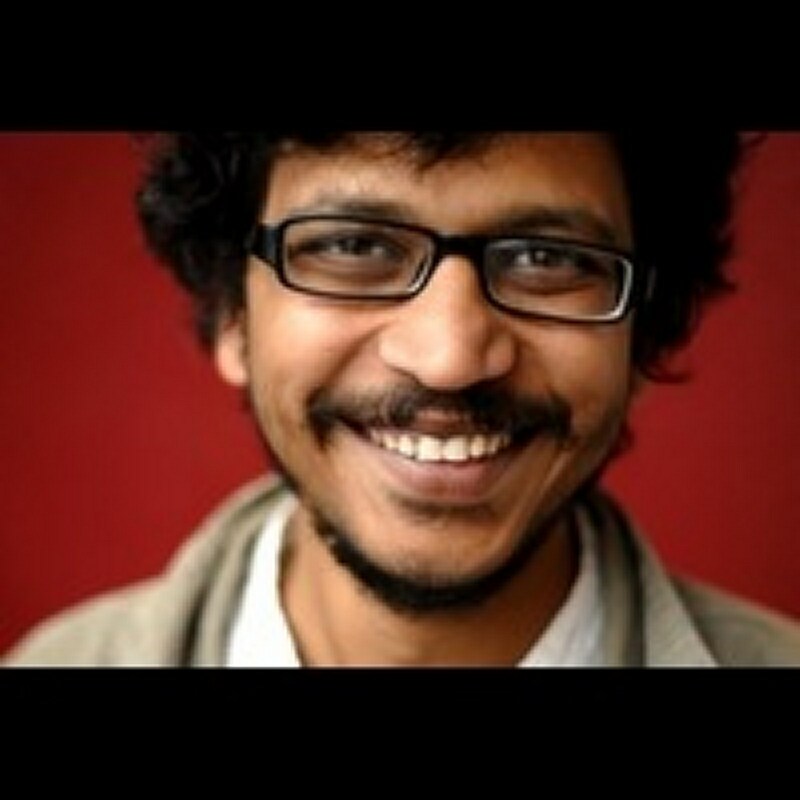 His debut as a cinematographer, Kalloori (2007) has screened in Indian Panoroma. 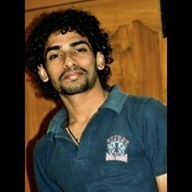 He got best cinematography award for kallathoni, and paradesi in Norway film festival. 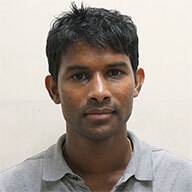 His camera work in Paradesi (2013) won the "Best cinematography" award at the 2013 London Filmmakers Film festival. He is an acclaimed author of a series of books about cinema titled 'Ulaga cinema'(world cinema) in Tamil. 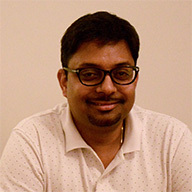 He received the KATHA award for his short story Harmoniam (2004) and a Junior Fellowship Award from the Indian government -ministry of culture -for his literary thesis about 'Imagery in Tamil short stories' (2004-2006). He has written five more books on cinema. TO LET is his debut movie as a director. Awards: Bangaluru International film festival 2018, Festival International de Cine de Medellín in Colombia 2018, International filmmakers film festival in London 2018, South film @ Art academy festival in Chile 2018, World human rights festival in Indonesia 2018, Kolkata International Film Festival 2017. 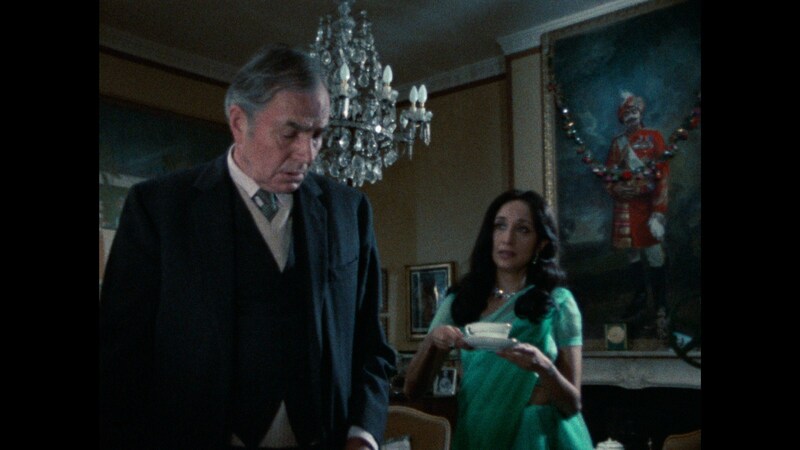 Cast - Ruth Prawer Jhabvala, James Mason, Madhur Jaffrey, Keith Varnier. 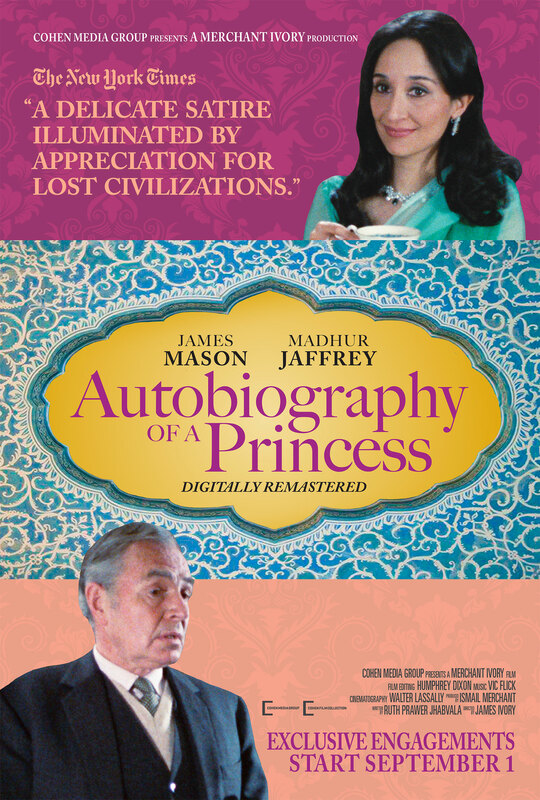 Synopsis: On the anniversary of her father's death, an Indian princess (Madhur Jaffrey) celebrates his memory in her London apartment by having tea and showing a selection of home movies to her guest, her father's old tutor Cyril Sahib (James Mason). 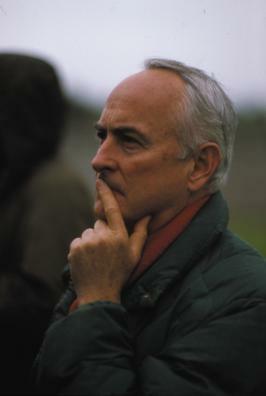 Director: James Francis Ivory worked together with the Indian producer Ismail Merchant and the German writer Ruth Prawer Jhabvala. His first films are all set in India and are very much influenced by the style of Satyajit Ray and Jean Renoir. After this period, he filmed three stories in New York and then dedicated his work to the great works of the English literature which made him internationally famous. Examples of this period are The Europeans and The Bostonians by Henry James, Jane Austen in Manhattan by Jane Austen, Quartet by Jean Rhys or A Room with a View and Maurice by E.M. Forster. 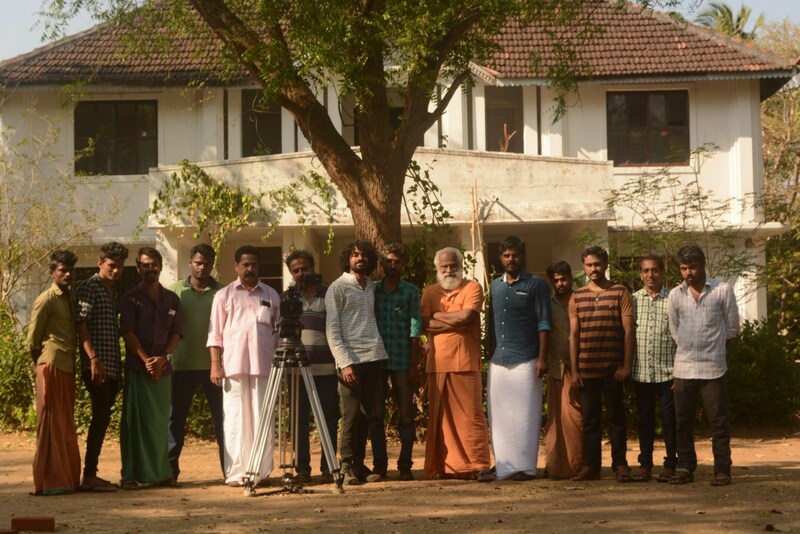 Crew - Rangrajan Ramabadran, Mahdi Fleifel. 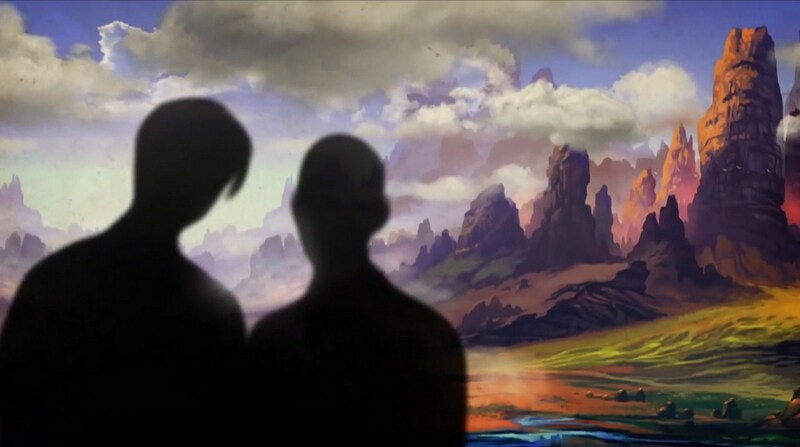 Synopsis: A dream came to me from who knows where having slept as two, I awake as one the other wasn't there. 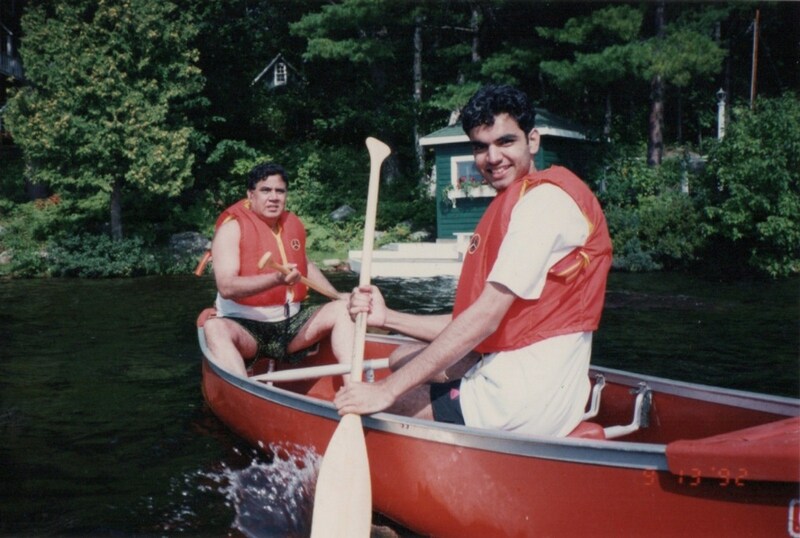 Two young men on a blind date start their journey outside the city. Unknowingly they become a part of a maze of a pilgrimage of sadhus. They look around, they observe, they smile, they doubt, they whisper. They are lost, they are found. 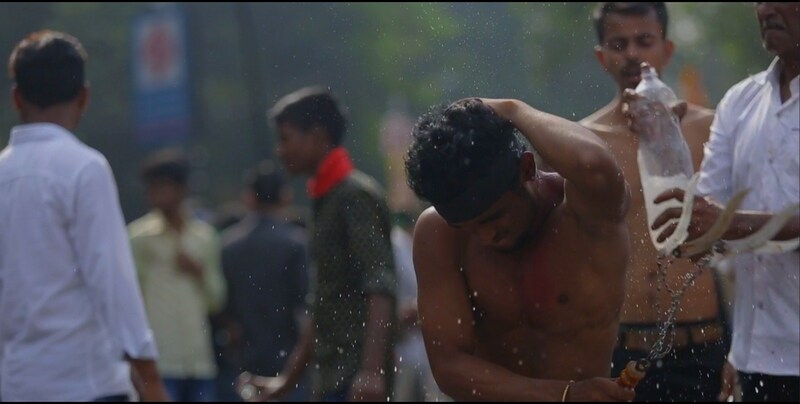 Director's Statement: Two young men stroll curiously around the Kumbh Mela, a huge religious festival involving millions of Hindus. They are wearing modern clothing, which makes them stand out among the pilgrims, most of whom are in traditional dress. Kumbh Mela, which takes place every three years at one of the four major Hindu sites (Haridwar, Allahabad, Ujjain and Nasik), is seen as the biggest pilgrimage in the world, bringing the many faces of Hinduism together. There are naked sadhus smeared in ash, rich gurus collecting donations, musicians and other performers, and simple pilgrims washing away their sins by ritual bathing in the river. The two men watch it all in silence, recording it with their cameras. Meanwhile, we take it all in from behind them. Sometimes we see what they are filming, at other times we see them filming one another. 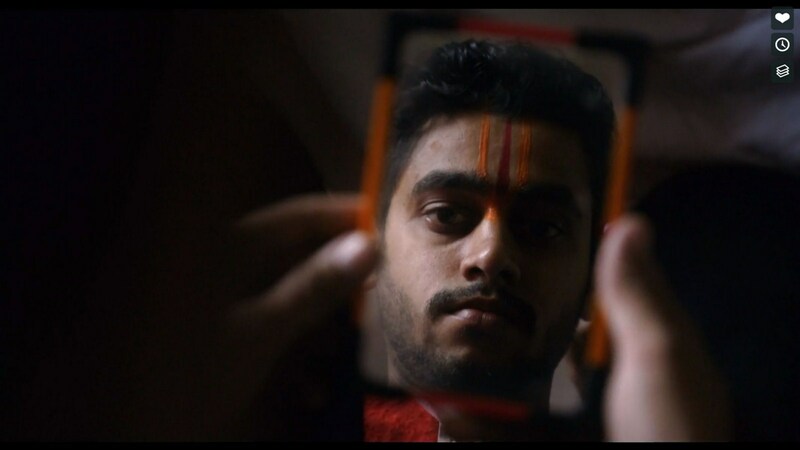 Through this device, director Umesh Kulkarni interposes an extra layer between the viewer and the spectacle. 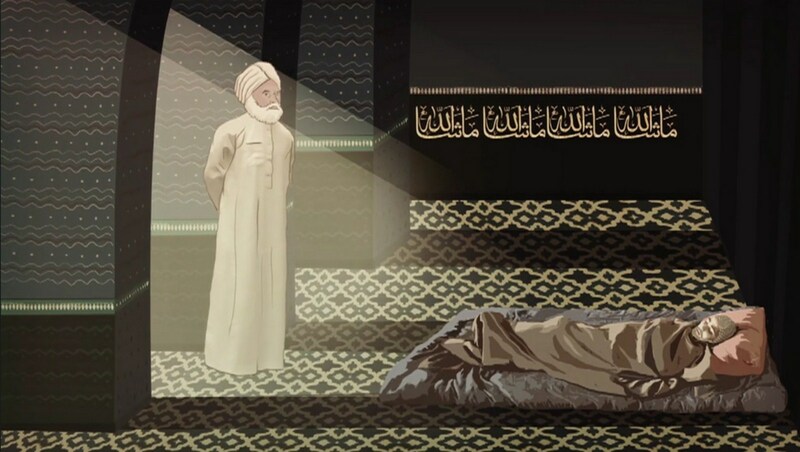 The sophisticated soundtrack and painstaking framing make this short documentary with no dialogue more than a simple recording of a fascinating religious spectacle. 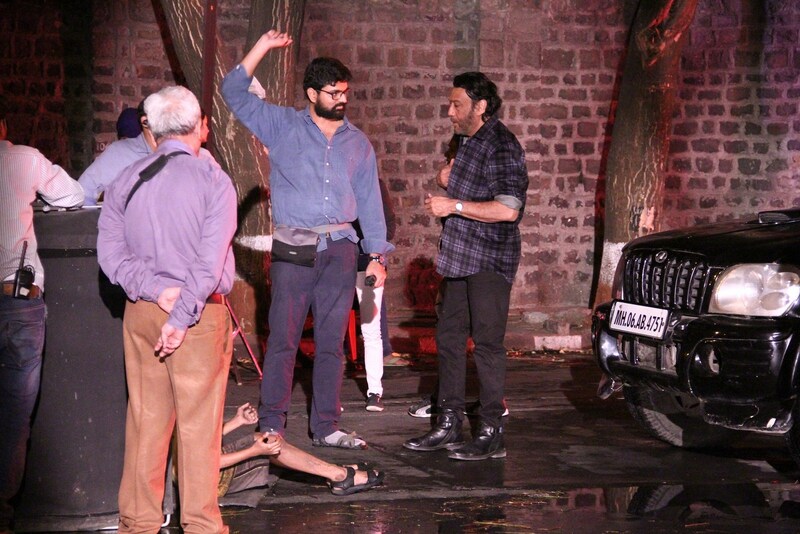 Director: Umesh Vinayak Kulkarni is an alumnus of the Film and Television institute of India. He graduated from the film school in the year of 2004. He has made 8 short films and 4 feature films so far. He is considered one of the most important contemporary voices in Indian cinema. His short fiction film titled Girni (Grinding machine) won several International and National level awards including 3 National awards for the best short film and president's gold medal for best direction, the highest honor in India. Umesh has kept his love and passion for short films alive. His each short film has been screened in more than 10 international film festivals including the prestigious Clermont Ferrand, Rotterdam and Oberhausen. His short film “Three of Us” premiered in Berlinale Film Festival. He has been invited as jury in most prominent festivals like Clermont Ferrand which is considered the most impactful and influential short film festival in the world. 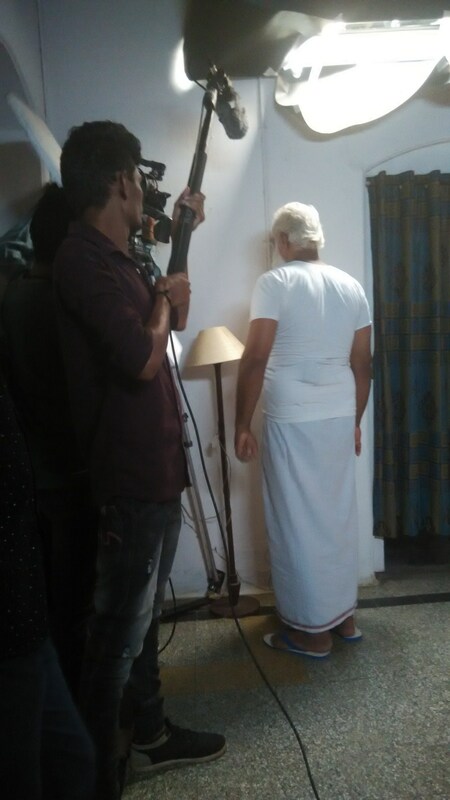 Also he has worked as international jury in eminent festivals like Karlovy Vary film festival, Cairo film festival, Thai film festival, International Film Festival of Kerala. These festivals also conducted a retrospective of Umesh's short films. He made his first feature film, Valu (The Wild Bull) in 2008. Valu turned out to be a significant film for Marathi cinema in many ways. It is amongst the few Marathi films that kept the box office collection on an upward swing and also travelled to more than 30 International film festivals. 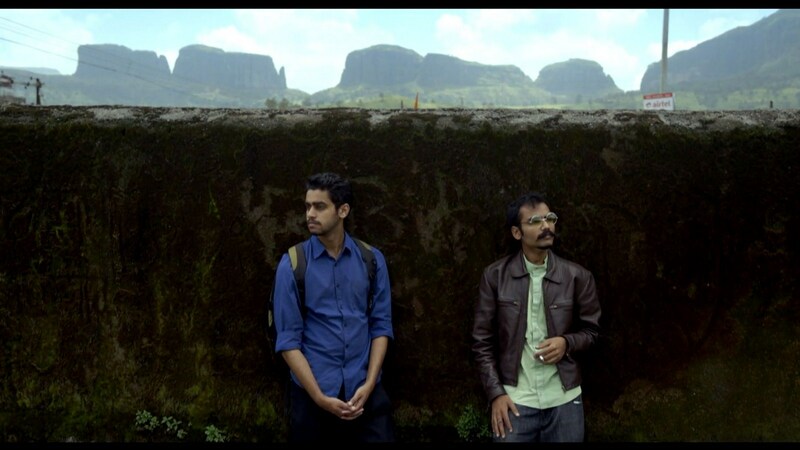 Valu is the first Marathi film which world premiered at the prestigious -Rotterdam international film festival. Umesh's second feature, Vihir (The Well) is the first Marathi film to be produced under Mr. Amitabh Bachchan's production house, AB Corp. Ltd. It also was the second Marathi film which was selected at the coveted Berlin international film festival. Deool (Temple) is Umesh's third feature film. It won three National awards including the best feature film of the year. 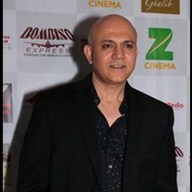 Umesh's fourth and his latest film, Highway was critically acclaimed for its representation of the cross section of society through an ensemble cast. 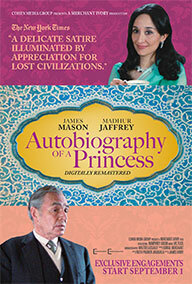 The film was screened in the New York Indian film festival. Umesh has travelled extensively to present his films and to understand the way short films are perceived in different parts of the world. 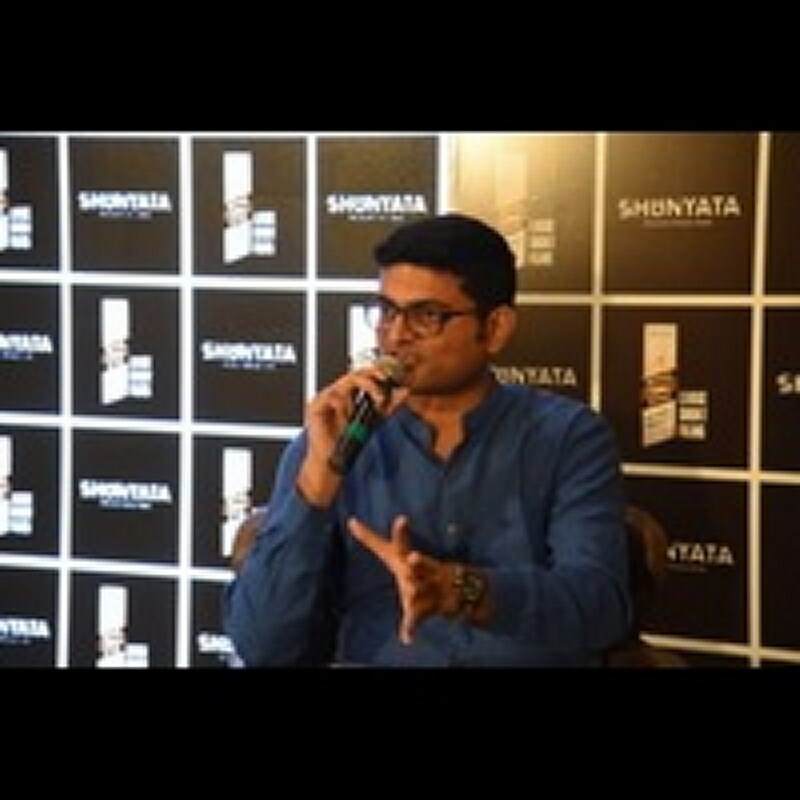 In order to encourage young filmmakers to make quality short films of international standards, Umesh started conducting an extensive short film making workshop which happens once in a year. This is the fourth year of the same and the response has been very positive from across our state. This workshop is designed specially to understand the nuances and finer details of short films as an independent medium. 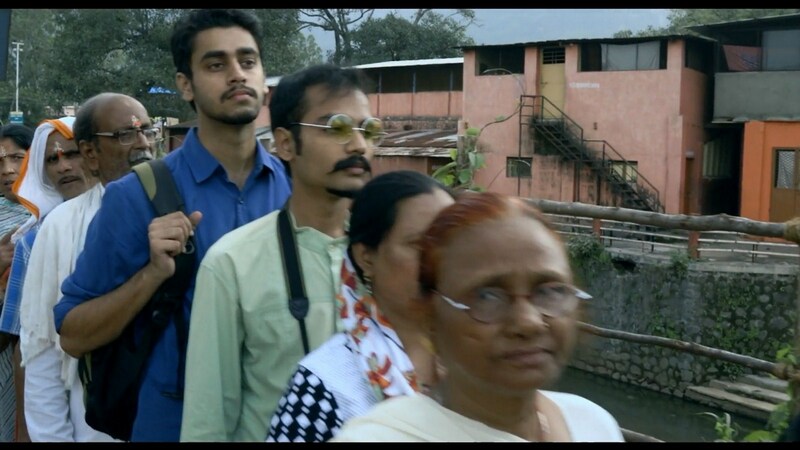 Umesh runs a short film club in his hometown, Pune where short films made across the globe are screened. These films include classics and contemporary work as well. He also runs a children’s film club which showcases acclaimed films for children and interaction with the makers. Cast - Asma Mahmood, Arjumand Bano, Davide Di Saro. Synopsis: ABU is a journey to the center of a fragmented family while they grapple with religion, sexuality, colonialism and migration. 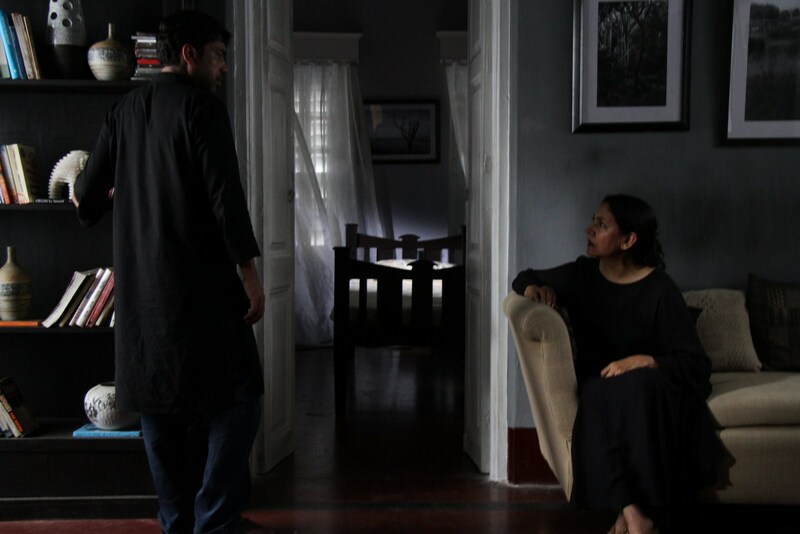 Through a tapestry of narratives composed of family footage, observation and classic Bollywood films, gay-identifying Pakistani-Muslim filmmaker Arshad Khan takes viewers through the tense relationships between family and fate, conservatism and liberalism, and modernity and familiarity. Director: Arshad Khan is a multiple-award-winning filmmaker, film festival director, festival strategist and film educator from Canada. Born in Pakistan, Khan believes in cinema as a catalyst for change. He makes ​films that shed light on subjects that are ignored by the mainstream media. He is interested in realism in cinema and the new wave in South Asian cinema, yet not restricted to any one cinematic genre. 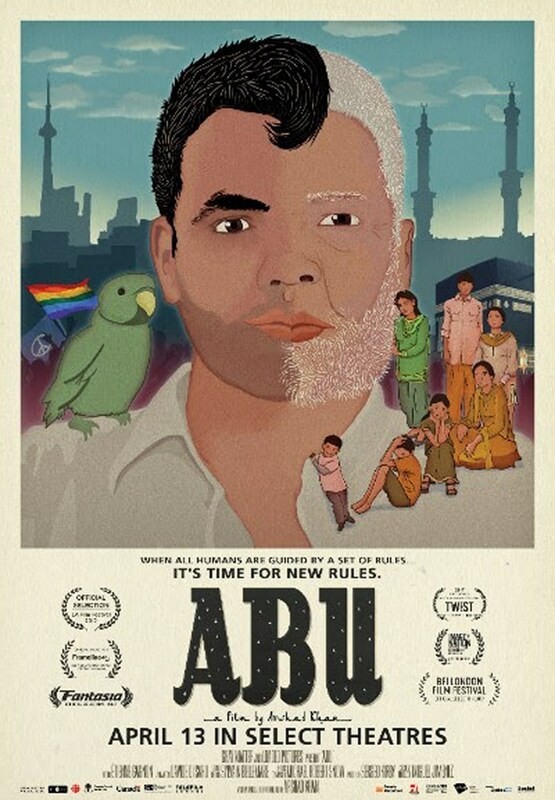 ABU is his first feature documentary and has already won awards and critical praise around the world. Social Media Handles: Facebook & Instagram: @abumovie. Twitter: @abu_movie. Cast - Manoj Bajpayee, Ranvir Shorey, Neeraj Kabi, Shahana Goswami, Om Singh. Synopsis: In the walled city of Old Delhi, a reclusive shopkeeper spends his days obsessively watching people through hidden closed circuit cameras. When he overhears a boy being beaten, he begins to frantically search for the child. As he becomes lost in the labyrinthine alleys of the city and recesses of his mind, his grasp on reality falters, until he eventually stumbles across a shocking truth. 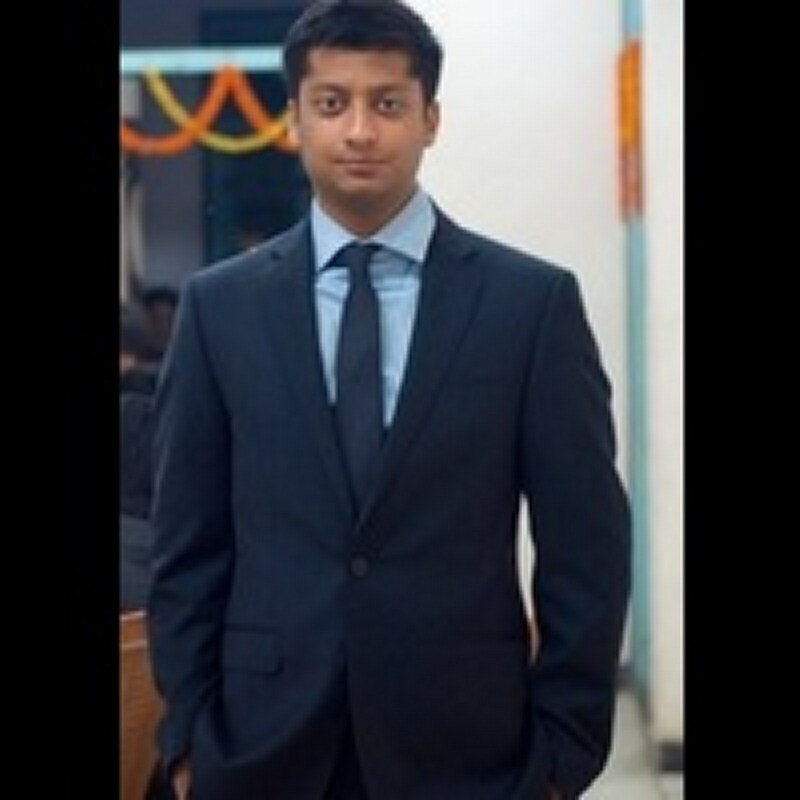 Director: Directors Guild Of America (DGA) Student Award recipient, Dipesh Jain is a graduate of University of Southern California Film School. He has written, directed and produced award-winning films, documentaries and stage plays in India, Prague and US. Before USC he studied at Prague Film School and also has Chartered Accountancy and CPA. 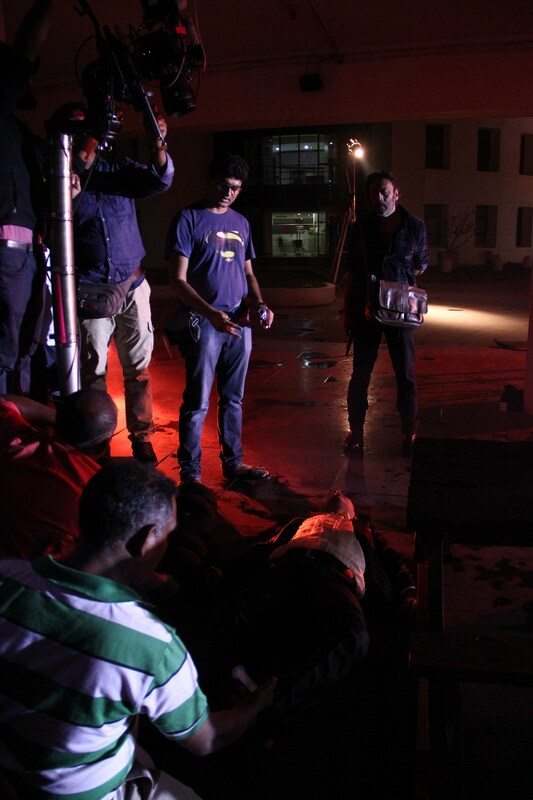 11 WEEKS, his thesis film at USC, was shot in terrorist areas of Kashmir with local people and real army. The film has screened at numerous film festivals such as Chicago, Mexico, Melbourne, Heartland and USA FF and won awards including Alfred P. Sloan, Carole Fielding, Best Short at 35th Cleveland Intl FF, Finalist at USA FF. His other films, including 5 QUESTIONS 5 CHANCES, have played festivals in Asia and Europe. A recipient of Panavision Young Filmmaker Award, Dipesh has been selected for the Talents Lab at the 64th Berlin International Film Festival and the Producer’s Lab at the International Film Festival of India (IFFI). 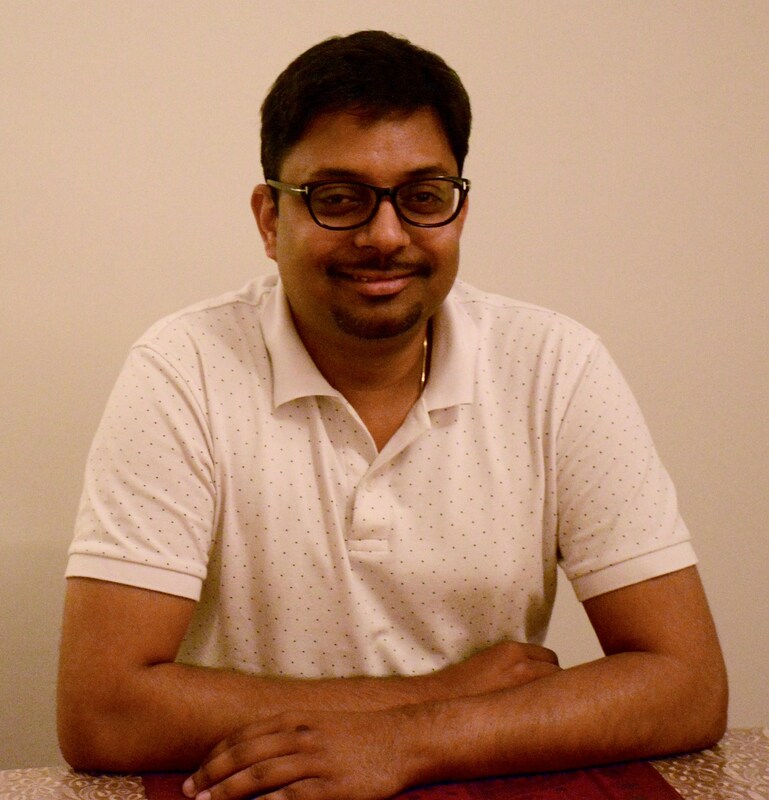 Dipesh wants to make strong character driven films for the international audience and has several feature screenplays set in US, UK and India at various stages of development. 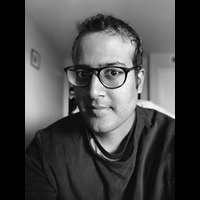 His screenplay A STONE’S THROW AWAY, a political drama set in Kashmir, was placed semi-finalist in the Sundance Screenwriting Lab, and quarter- finalist in the American Zoetrope Screenplay Competition. 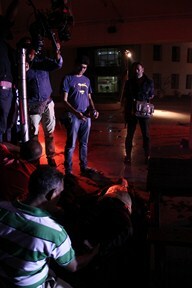 His debut feature IN THE SHADOWS, is a psychological drama set in the walled city of Old Delhi. The screenplay was a finalist in the Sundance Screenwriting Lab, 2015, Torino Lab, Italy and Tribeca All Access. The film was selected for the Works-in Progress Lab at NFDC Film Bazaar, Goa and completed at Skywalker Sound and Light Iron (NY). Screen International Cannes’ edition mentioned the film as one of the top Indian films to watch out for in 2017. IN THE SHADOWS World Premiered at 22nd Busan International Film Festival where it was nominated for Kim Ji-Seok Award. It won the Grand Jury Award at Mumbai International Film Festival and was nominated for Golden Hugo Award at the Chicago International Film Festival, 2017. Currently playing in festivals, the film is slated to release (India/International) in May 2018. Top Oscar/Emmy/Grammy-winning/nominated technicians have worked on the film including. Kai Miedendorp: EMMY Nominated Cinematographer. Rafa Sardina: 13 GRAMMY wins, 31 Nominations music recording artist. 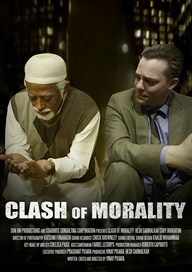 Cast - Sasha Sen, Siraj Huda. 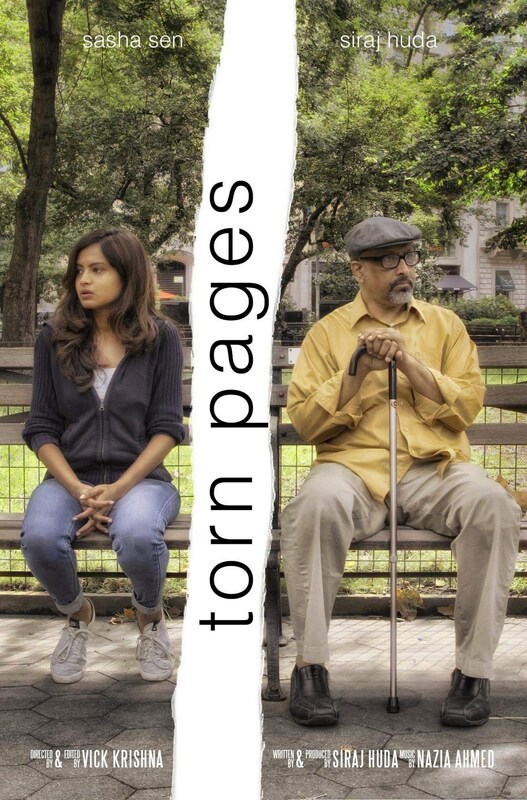 Synopsis: Torn pages, a story of a young woman trying to resolve a conflict within her as she is confronted with her dark past. Director: Vick Krishna is a New York based director. He is originally from Maryland. He has produced and directed few shorts before this one. He loves the filmmaking process and loves New York City. 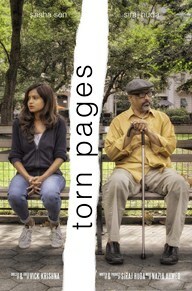 Synopsis: The film deals with the life of a man who becomes lonely at his old age. When the children grow up, they become busy with their own lives and don't have much time for their parents. Once in a while they make a call but only as a duty. The servants and newspaper delivery boy are the only ones who visit the old man because of their regular working routines. The film is showing the two sides of life in a present society. Director: Vipin P Vijayan is an Indian cinematographer, screenwriter and director. After completing his diploma course from cinematography in Chennai Film School. He began his career as an assistant director for feature films, adds and music videos in South India. Social Media Handle: http://www.facebook.com/teamtwosides, Facebook: adgj126. 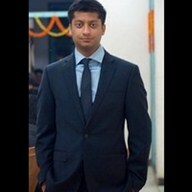 Twitter: @mishratv. Cast - Anisha Ogale, Arjun Nag. Synopsis: A brother pays his estranged sister a visit. 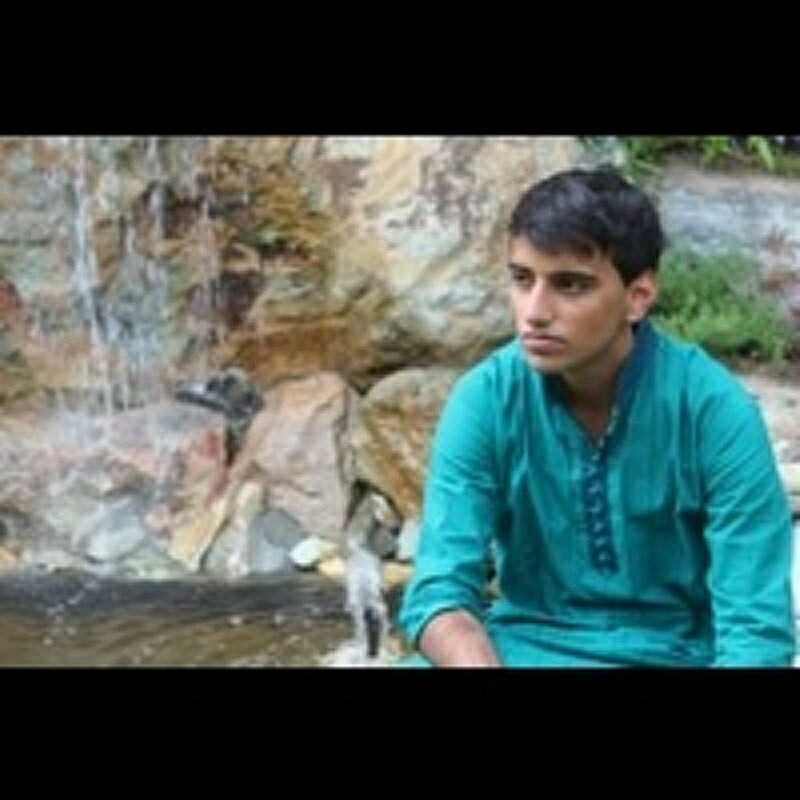 Director: Ayush Dahiya is a rising filmmaker with a mission to bring light to the fringes of society across cultures, and provide audiences with new perspectives and profound experiences through cinema. Cast - Sandeep Shikhar, Deepti Naval, Shreya Dubey. Synopsis: ANURADHA puts sleepless people to sleep with the magic of her beautiful voice, except one man TANMAY, an old acquaintance who hasn't slept in twenty years. When all her attempts to put him to sleep fail, she searches for answers, realizing that the only way left, perhaps, is to examine her past. NEEND is a POETRICAL, a quiet and meditative chamber piece designed around poetry, that unfolds in layers, beginning one night and ending in the next. The narrative is infused with glimpses of ANURADHA's solitary life, her reminiscences, her poetry, and conversations with TANMAY, leading up to a quietly surprising and metaphorical ending. This is a quiet, lyrical and meditative film entered around poetry that provides insight into the life of the protagonist. Genre-wise, it can be seen as a 'poetrical', a variation on the musical genre. 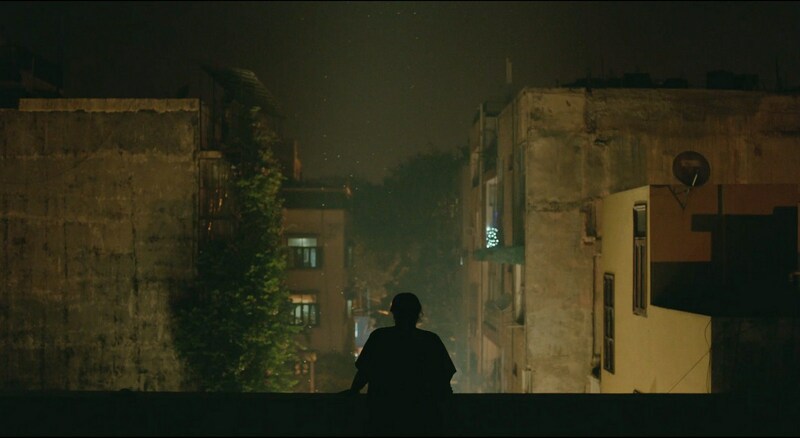 Director: Subhajit Dasgupta divides his time between earning his living as a hardware engineer in Bangalore, India’s Silicon Valley, and pursuing his passion for cinema by making independent short films. His second short film titled CHIMES, made in 2015, won a few accolades and was screened in several film festivals, both in India and abroad. NEEND is his third venture. His goal is to achieve excellence in the craft of filmmaking while entertaining and moving audiences with subjects and storytelling styles that are both unique and personal. He loves writing and making films that deal with human relationships and considers Satyajit Ray and Woody Allen as his biggest inspiration. Cast - Rajeev Aggerwhil, Seirah Royin, Shahin Sayadi, Arpit Jalan, Julie Romano, Karl Warren, Ronak Gandhi, Tanmay Chowdhary. 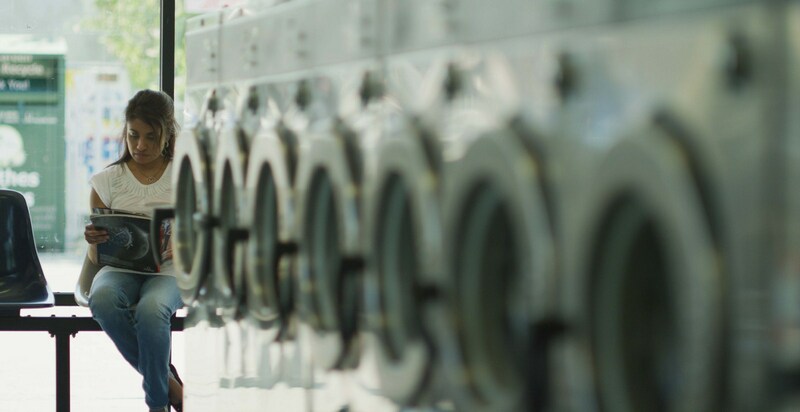 Synopsis: An Indian-American mother of two begins to question her arranged marriage after a chance encounter at the local laundromat. 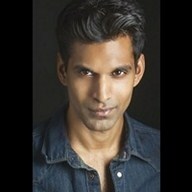 Director: Ankur Agrawal is a New Jersey born-and-bred filmmaker. His obsession with film proved to be more than a childhood phase as he enrolled in film school at USC in 2010 and never looked back. Since then, he has worked extensively in production in numerous capacities, especially in post production. Recently, he’s worked in the editorial departments of X-Men: Apocalypse and Saban’s Power Rangers. Currently, he works as an assistant editor for Academy Award winning Editor, Richard Halsey. He continues to develop content that, like Payal, pushes the boundaries of traditional Hollywood narratives. Producer: Raeshib Aggerwhil is a filmmaker and a sound designer based in Los Angeles. He started his career working for acclaimed director Shekhar Kapur for 3 years. Social Media Handles: Facebook: @ankypunks, @raeshib, @tanmay.chowdhary, @seirahroyin. Cast - Seema Bhargava Pahwa, Palomi Ghosh, Siddharth Bhardwaj, Alka Chatwal, Ayushi Jain. Synopsis: ASHA, a 58 year old oppressed housewife from a small town in India arrives in New Delhi under the guise of visiting her independent and strong daughter, NATASHA, 28. However, she wants more than a vacation. Asha has come with the hope of leaving her deeply patriarchal marriage. When Asha shares her desire to leave her 30 year old marriage, she's met with a knee jerk reaction of shock and anger from Natasha. 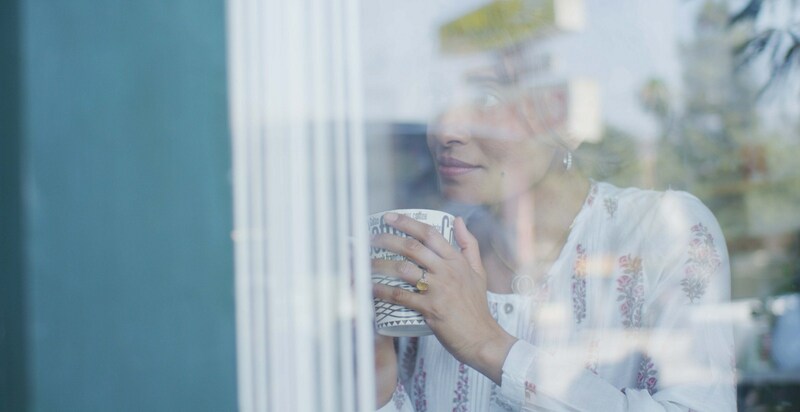 Shunned and gutted, Asha tries to keep her happy facade through oppressive circumstances, which her daughter starts seeing in a new way for the first time. 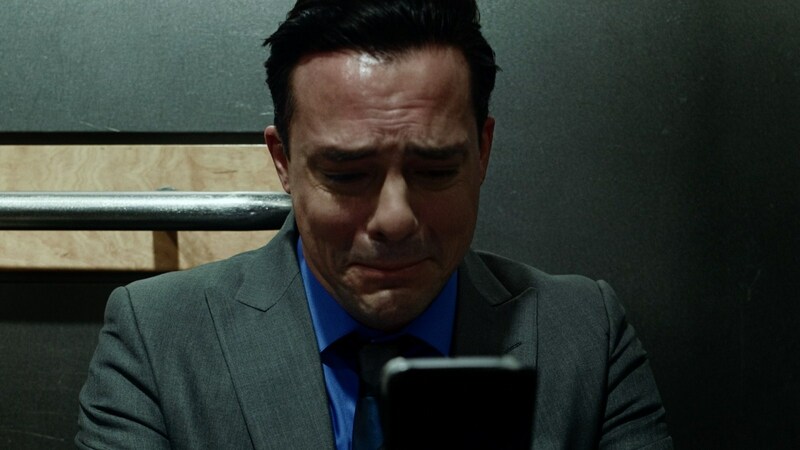 Natasha slowly has a change of heart but it might be too little too late for Asha, who might not be welcoming of the daughter's empathy anymore. Cast - Hesh Sarmalkar, Cory Boughton, Katsumi Funahashi. 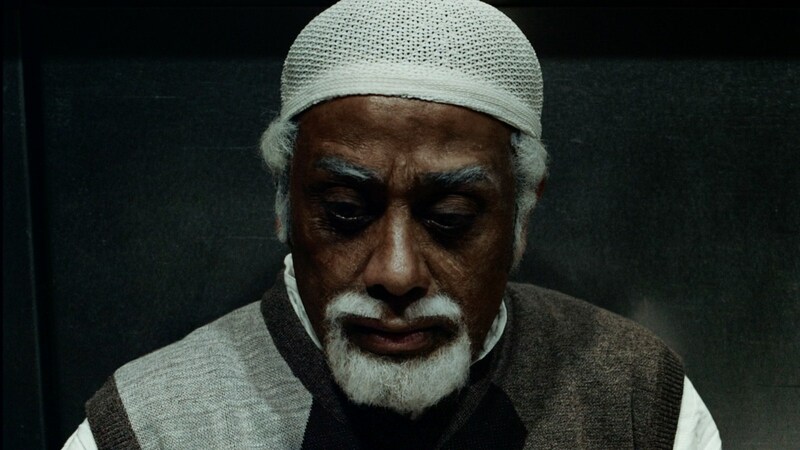 Synopsis: Mohamed & Richard stuck in an elevator clash upon their morals. Mohamed confronts Richard upon being judged for his look & his religion. Director's Statement: Film deals with the issue of Islamophobia not just in USA but also around the world. It is creating a divide among people. It naturally paints all the muslims with the same brush which is nothing but ignorance. An eye for an eye will only make the whole world blind. 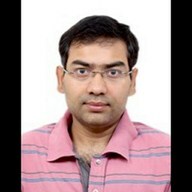 Director: Vinay Pujara is an Indian born filmmaker. Having started in Bollywood as an actor and then as an assistant director to the esteemed Asha Parekh Productions & renowned bollywood writer Sanjay Chhel’s Production. After taking classes at NYU's filmmaking school as well as others in 2012, he has since completed 9 short films and is in production for his first feature. His company "Sun Om Productions Inc." is quickly outputting content with strong themes. Vinay has valued his films in the sense of being fearless pieces that tell a story from a view that is not often seen. His past short films have been screened at film festivals around the globe as well as have won some awards. Awards: Cap Spartel Film Festival in Morocco 2018, Chennai International Short Film Festival 2018, International Film Festival Zoom-Zblizenia in Poland 2018, Dhaka International Film Festival 2018, The MumbaiFest International Film Festival & The MumbaiFest International Short Film Festival 2018, Delhi International Film Festival 2017, Khajuraho International Film Festival 2017, Director’s Circle Festival of Shorts 2017, Cape Town International Film Market & Festival 2017, Oaxaca Filmfest in Mexico 2017, DC South Asian Film Festival 2017. 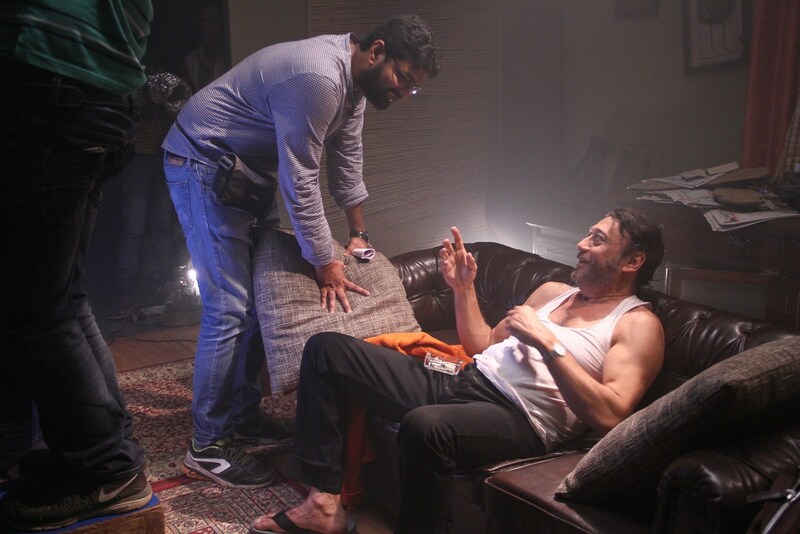 Cast - Jackie Shroff, Machindra Gadkar, Ankit Varshneya, Lekh Tandon, Sahil Vaid, Arkodeb Mukherjee. Synopsis: Madhur works as a hitman for a gang in Mumbai. He leads a bleak existence and a life full of regrets. He is friendly with a kid who lives on the street. Madhur sees this kid getting into crime and decides to intervene to give the kid a chance he never had. 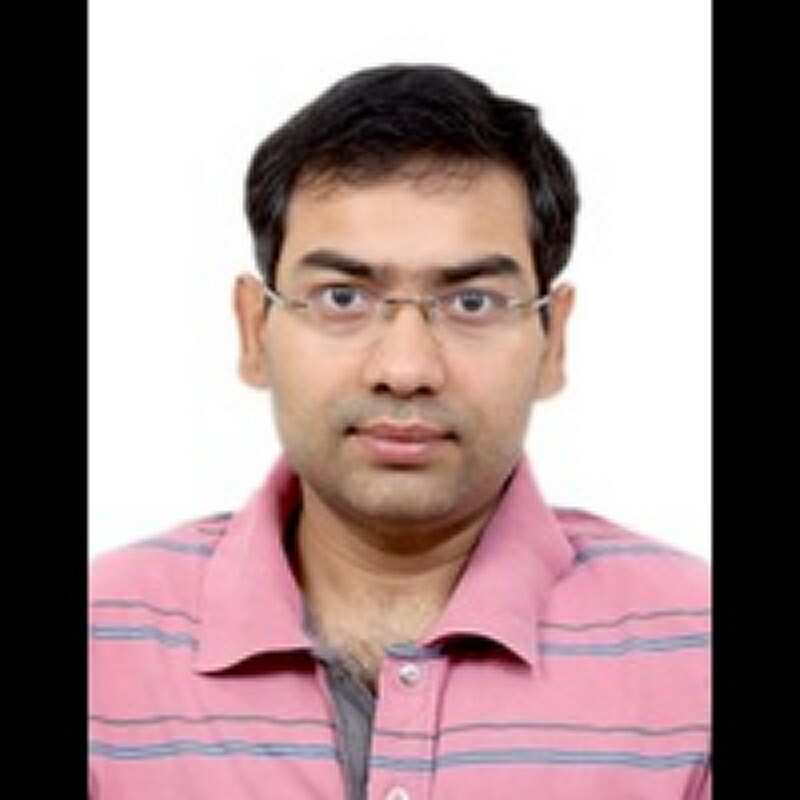 Director: Chintan Sarda is an ex-finance professional who has worked with companies like JP Morgan and Edelweiss. His last corporate job was with UBS in London 2007. Since then he has assisted filmmakers like: Farhan Akhtar (Don 2), Abhishek Sharma (Tere Bin Laden: Dead or alive & The Shaukeens) and Mohit Suri (Raaz 2). 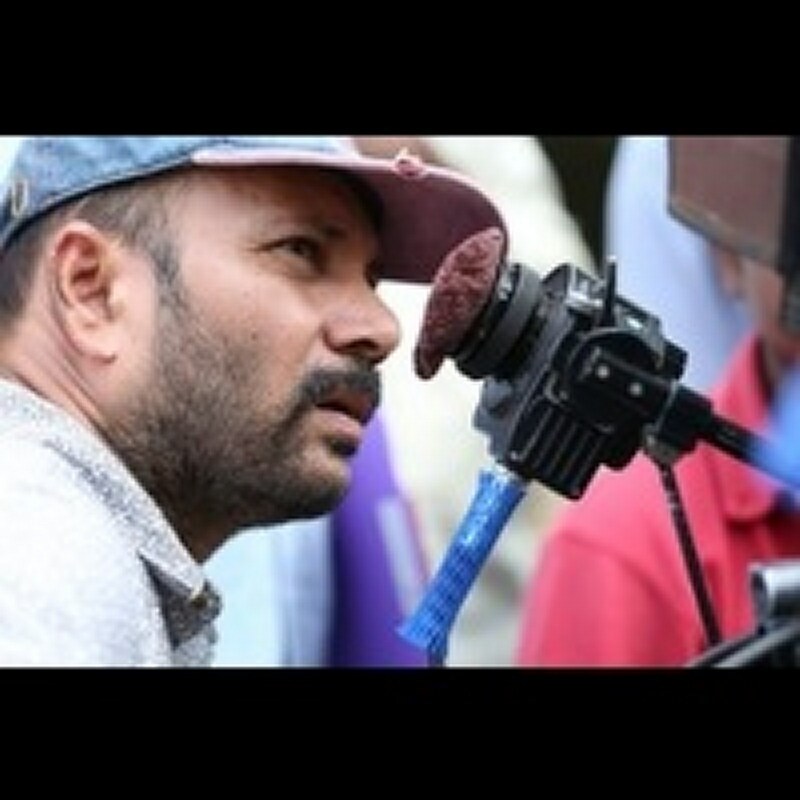 He has also completed Diploma in motion picture production from Whistling Woods International (specialising in Direction) with a merit scholarship and has worked as First Assistant director on several TV commercials and directed corporate films for companies like Taj Hotels and TPSW Trust. He has signed his first feature as a director in the regional space in India. The pre-production for the same is expected to begin soon.